service and maintenance center for all your luxury automotive needs. 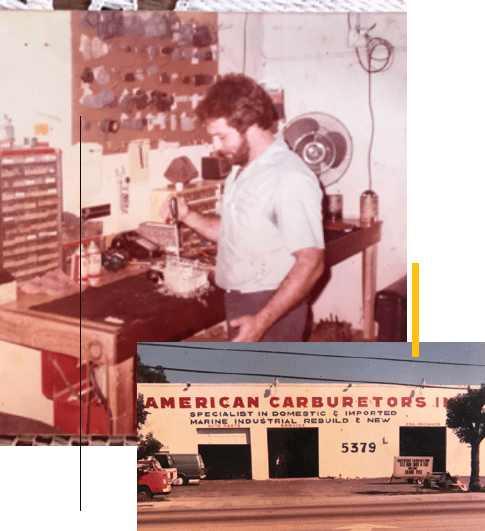 My passion for cars started at a very young age, working in my father’s mechanic shop. Years later, I opened my own auto shop specializing in european vehicles. My experience has taught me which components are prone to failure in each vehicle, which allowed us to create an inspection list that caters to your vehicle. A customized inspection will prevent costly repairs for our customers in the future. While operating my shop, I realized that my customers were searching for an efficient option outside of the dealership for their regularly scheduled service. My family and I decided to create ÜroLube, where we strive to surpass dealer quality service in a timely manner and at reasonable cost. We have committed ourselves to researching European and exotic vehicles. As exotic vehicle owners know, data on these vehicles are difficult to find. Doing extensive repairs on exotic vehicles in my shop for over five years has given us an edge over other automotive facilities. In addition, our state of the art diagnostic equipment is specialized to communicate with all European brands. Ürolube uses only the highest quality oils on the market for European and exotic vehicles, setting us apart the from the conventional quick lube shops. We constantly negotiate directly with European vendors in order to utilize the highest quality products at the most affordable cost for our customers. What sets Ürolube apart from the dealer? We can service your vehicle quicker than the dealer. Help minimize vehicle turn-around time by booking an appointment. More personalized service. Our customers are not just numbers to us, our goal is to make you feel like family. We want our customers to feel they are receiving honest information from our technicians and remove the stress and anxiety usually associated with the industry. More cost efficient. Honest service means we will not try to “upsell” you services your vehicle does not need. We are committed to getting the most competitive price from our vendors to pass the savings on to you. We go beyond the “scheduled service”, we will let you know when services are needed based on outlying information like driving habits and environmental conditions. What sets Ürolube apart from the conventional quick lube facilities? Proper diagnostic equipment to reset vehicle service reminders. Our technicians are trained on european and exotic vehicles so you can feel confident about receiving a more accurate and thorough inspection. High quality motor oil that meet or exceed your vehicle specifications. We will not turn you down if your vehicle is more difficult to service. We know European and exotic vehicles. We will use our extensive knowledge and experience to work efficiently and effectively on your vehicle, saving you time and money. Will my warranty be voided if I service my vehicle at Ürolube instead of the dealer? No, Federal Trade Commission’s laws forbids voiding warranties for vehicles serviced outside of the dealer. See https://www.consumer.ftc.gov/articles/0138-auto-warranties-routine-maintenance for more information. Why should I service my vehicle more frequently than the manufacturer recommendation? The manufacturer recommendation is based on ideal conditions. Realistically, in the Miami area our customers are driving mostly in high traffic areas and around construction. Long idling time and high debris/dust wears on your engine and filters faster than usual. Weather plays a role in engine performance as well, the high heat affects the viscosity of your engine’s oil affecting its ability to properly reduce friction. In addition, as a shop owner, servicing mostly european vehicles, I have seen a great difference from my customers who wait till the recommended 10,000 or so miles before servicing their vehicle. Remember, oil service is preventative maintenance that prevents costly repairs in the future. This place was great. I brought in my Audi for service last week and saved a ton of money. They knew what they were talking about, were friendly, and had a quick turn-around time. Went in without really knowing the place, but their customer service was on point and treated me right. Explained everything that was done and what the costs would be, no hassle. Overall this was a positive experience and will definitely be coming back for any other service. Great service! I was in Miami vacationing for a couple of months and noticed my Porsche 911 needed a service. I called around and all of the other shops wanted to charge me an outrageous price. I found Urolube and their service was outstanding, the staff was very friendly, knowledgeable and most importantly the got me in and out in no time. I would definitely go back. Thanks,​ Urolube! Awesome customer service with friendly and knowledgeable staff. I would absolutely recommend Urolube to friends and family. I took my Mercedes G Wagon there for an oil change and the service was excellent, the prices were reasonable and I will definitely be coming back. Thanks Urolube! Took my Mini to get an oil change, quick service. The waiting area was spacious, clean and comfortable. The mechanic was nice and explained what he was going to do. WAY CHEAPER THAN THE DEALER!! I trusted my BMW to Urolube for oil change and maintenance work and I was highly impressed. I always went to the dealer (South Motors BMW) thinking they provide the best service but in reality after a few bad experiences I decided to give Urolube a try. They are centrally located in Miami and provide a top notch experience. The oil change price for my BMW was more affordable than the dealership and they indeed used an OEM filter and Oil. Thanks Guys! I will be coming back again.